As luck would have it, I will be putting my passport through the ringer later this fall when I take a trip down to Punta Cana to enjoy three nights at the Hard Rock Resort & Casino...two weeks after I return from Peru. 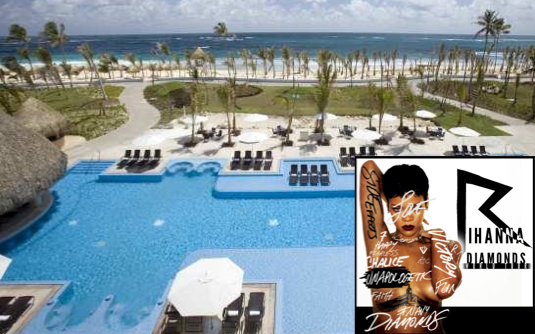 I'll be writing another travel feature for Instinct Magazine (similar to my Mexico trip in February) and a few other media outlets in which I'll report on the food, the sights, the amenities...and Rihanna's Diamonds World Tour (all-access pass included). Trust me, I'm shaking my head at myself as I write this. Many thanks to the publicity powerhouses at the Zimmerman Agency for hooking up this poor schlub. You guys spoil me rotten...and I look forward to you spoiling me more in the near future. See you on the beach, RiRi. And thank you, Universe, for this embarrassment of travel riches. Joseph Gordon-Levitt Is Awesome. Simple As That.